Self-fabric collar. Badger sport paneled shoulder for maximum movement. 100% Polyester moisture management/antimicrobial performance fabric. Badger heat seal logo on center back. Double-needle hem. 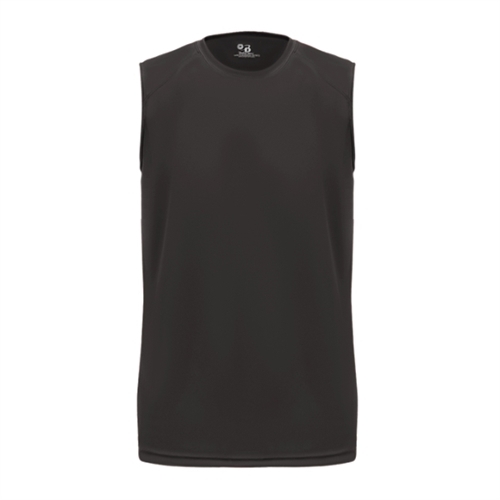 Our Badger B-Core Sleeveless Youth Tee are the perfect gift for players, parents, and fans alike to wear off field. They can be customized with logos and players name and number. Where ever you go the shirt will show the team pride.